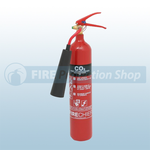 Available from Fire Protection Shop are a range of FireChief Co2 Fire Extinguishers which include the 2kg and 5kg co2 fire extinguishers and aluminium 2kg and 5kg co2 fire extinguishers. 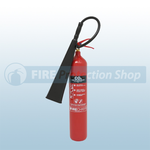 The extinguishers are used for situations involving flammable liquids and electrical hazards. 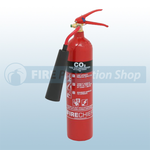 One of the best selling extinguishers in the Firechief XTR range, the CO2 extinguishant is harmless to delicate equipment making it ideal for office environments and where oils and spirits etc are in use. 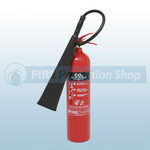 The Fire Extinguishers offer protection against class B and Electrical type fires.